Call the Internet Department Today! (626) 298-8191. This Icicle 2019 Toyota Yaris LE might be just the sedan for you. This one's a deal at $18,470. Exhibiting a timeless lt. gray exterior and a blue black interior, this vehicle won't be on the market for long. It has the best mileage with 32 MPG in the city and 40 MPG on the highway. Hands-free Bluetooth technology gives you the freedom to access electronic devices anywhere, anytime. Music-lovers won't want to get off the road with great audio features premium sound system. Good cars sell fast! Give us a call and schedule an appointment today! 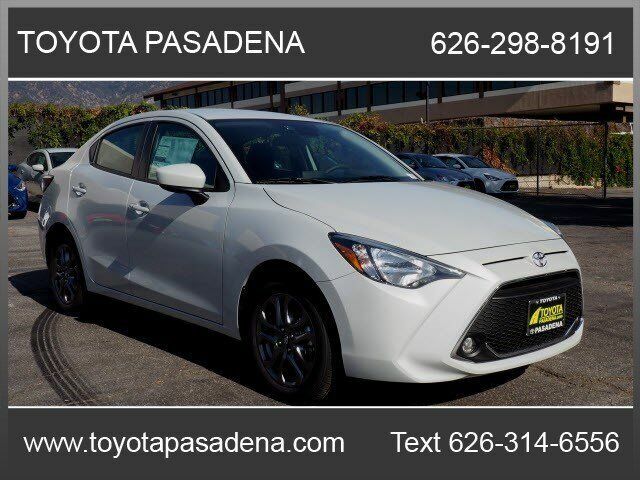 Contact Information: Toyota of Pasadena, 3600 E. Foothill Blvd, Pasadena, CA, 91107, Phone: (626) 795-9787, E-mail: webleads@toyotapasadena.com.